This entry was posted on Sunday, March 25th, 2012, 11:06 am and is filed under Discussion. You can follow any responses to this entry through RSS 2.0. You can leave a response, or trackback from your own site. Has any one implemented (considered) automation of CWE/CWSS in SCAP manner. 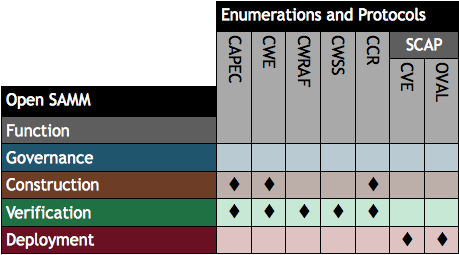 The above slide gives an impression that OVAL does not support CWE, but is that not extisible?